"Exceptional physician! I highly recommend!" "Dr. Powell and his entire staff are friendly, helpful, and give a high quality of care. " "I would highly recommend Dr. Powell and his associates!" "Excellent surgical experience and post-op rehabilitation." "I couldn't be happier with my experience at Powell Orthopedics!" "I have been to other orthopedic doctors, and I have to say that Dr. Powell is the only one who has helped me! I love his staff, they are all very friendly and sweet!" 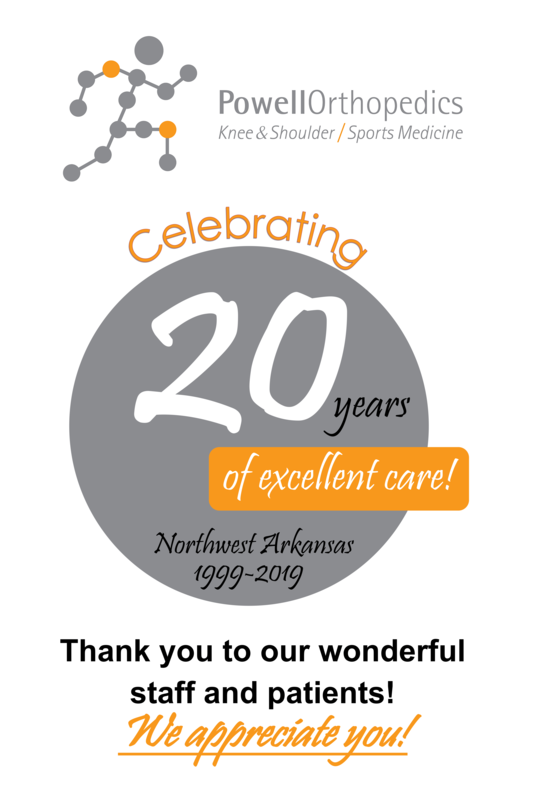 "Kudos to Powell Orthopedics! An excellent medical team, a welcoming front office, and a physical therapy team committed to your well-being." "Dr. Powell is top shelf. I was highly pleased with my results. His physical therapy team was awesome too."